The people of Venezuela have spoken! Chávezobtained 7.444.082 votes and Capriles 6.151.544 de Capriles, with a record participation of 80,94 %. 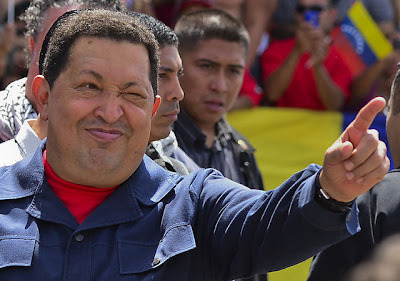 With 90% of the vote counted, according to the National Election Council, Hugo Chavez Frias is elected with 54.42% of the vote. His opponent Capriles gained 44.97% of the vote. The announcement was made by the president of the National Election Council (Consejo Nacional Electoral) Tibisay Lucena. Global Research will provide analysis and commentary on this historical victory in the weeks ahead. The impacts on the global energy market, bilateral relations between Washington and Caracas are significant. The geopolitical implications for the Latin American region as a whole are far-reaching.